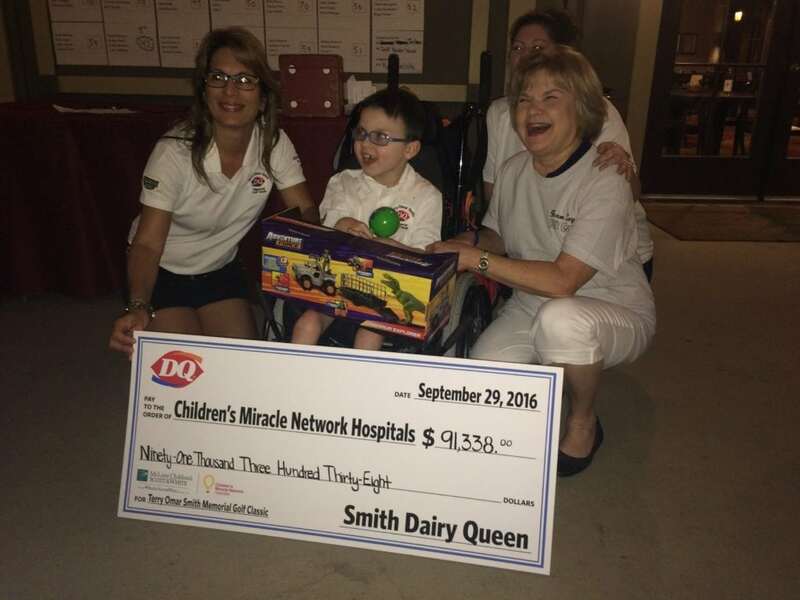 Smith Dairy Queen Group in Texas raises over $110,000 for five CMN Hospitals! 2016-17 Texas Champion Logan Parker joined in the check presentation fun at the Smith Dairy Queen golf tournament. Logan is treated at McLane Children’s Scott & White where donations help to pay for ongoing occupational services as well as MRI and X-ray machines. Capping off a spectacular year of fundraising for Children’s Miracle Network Hospitals, Karen Smith’s 39 Dairy Queen stores across central Texas have raised over $110,000. Dairy Queen locations all over the United States and Canada work hard to fundraise for their local CMN Hospital by selling icons, participating in Miracle Treat Day and hold numerous events year round. This year, many DQ owners are fighting to be the top fundraising store in the country, and beat the Madison, SD store who raised over $57,000 in 2015. One of those owners is Karen Smith of the Smith DQ Group in Texas. Based in Bryan/College Station, the Smith DQ group collected donations via canisters, Miracle Balloons, Miracle Treat Day, Miracle Hearts, a garage sale and a wildly successful golf tournament–which raised more than $45,000. Funds raised throughout the year are donated to five local children’s hospitals including Children’s Hospital of San Antonio, McLane Children’s Scott & White, Dell Children’s Medical Center of Central Texas, Texas Children’s Hospital and Children’s Health Children’s Medical Center. 2016-17 Texas Champion Logan Parker joined in the check presentation fun at the golf tournament held on Sept. 29. Logan is treated at McLane Children’s Scott & White where donations help to pay for his ongoing occupational services every week. 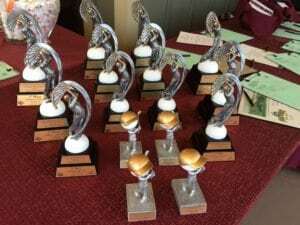 Donations also fund MRI and X-ray machines used to test his bone density, hips and ankles needed to treat his rare genetic condition–Pelizaeus-Merzbacher disease. Future contributions will support renovations to the hospital’s therapy facilities. Thank you Karen Smith and your incredible Diary Queen customers and employees. Previous post: Walmart Campaign in Full Swing!